So said Andrew Carter, the Acting Chief Executive of Centre for Cities, writing on the Conservative Home website earlier this month. It’s true that green belts have long been regarded as untouchable. But there are signs that the bulletproof shield protecting them could be breaking down. The idea of curbing urbanisation is not new. During the reign of Queen Elizabeth I, a three-mile wide belt around London was proposed in order to stop the spread of the plague. More recently, the garden city movement’s ideas about urban and rural areas, led to the 1947 Town and Country Planning Act, which allowed local authorities to include green belts in their town plans. 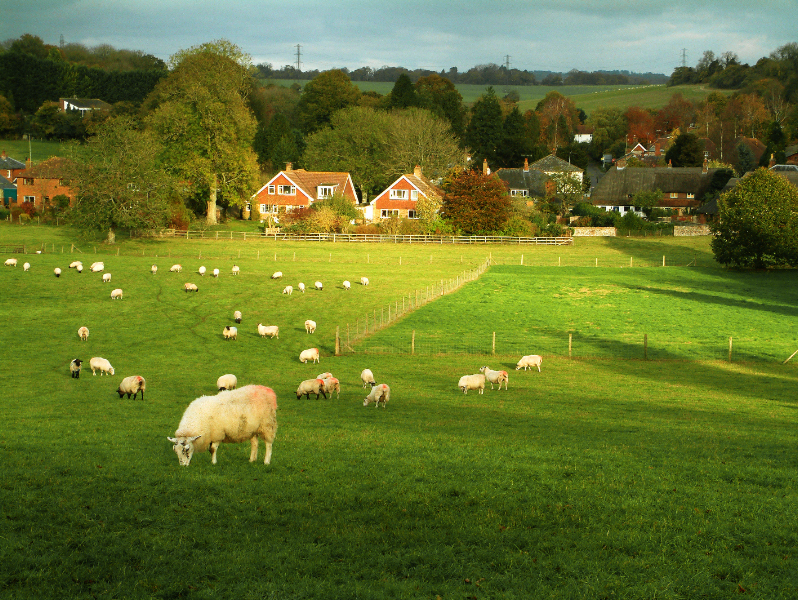 Britain’s housing crisis has amplified calls for the green belt to be breached. Government projections suggest that the UK needs six million new homes in the next 30 years. Proponents of building on green land contend that existing urban and brownfield areas alone cannot cater for the housing demand, an argument underlined by Urbed in its submission to the Wolfson competition. Centre for Cities has claimed that building on 5.2% of green belt land within and around Britain’s least affordable cities would deliver 1.4 million new homes. With a general election on the horizon, the main political parties have been drawing up their battle lines. The Labour Party is showing signs of greater flexibility on the green belt issue. In October, Sir Michael Lyons published the final report of his independent review of housing for the Labour Party. One of his recommendations included allowing more homes to be built on parts of the protected green belt if the land has little “environmental or amenity value”. In response, the Conservative Party has reiterated its commitment to protecting the green belt. Perhaps most interestingly, it’s at the local level that changing policies on green belts can be most clearly seen. Councils in England are responding to the housing crisis by using localism powers granted to them by the coalition government to de-designate or swap greenbelt land in the context of making a local plan. Figures published in August by Glenigan planning and construction consultants revealed that 5,600 new homes were approved to be built on green belt land last year, a 148% increase on the 2,260 green belt homes in 2009/10. The debate now seems to be moving towards a recognition that some infringement of green belt land is inevitable, which is perhaps why a recent commentary on the subject by an academic from the London School of Economics was not titled, “Why should we build on the green belt?” Instead, it was headlined: “Where should we build on the green belt?”. N.B. Abstracts and access to subscription journal articles are only available to members of the Idox Information Service. This entry was posted in Environment, Planning and tagged construction, countryside, development, environment, green belt, housebuilding, housing, housing need, land use, local plans, localism, planning, planning policy, protection, town and country planning, towns. Bookmark the permalink.